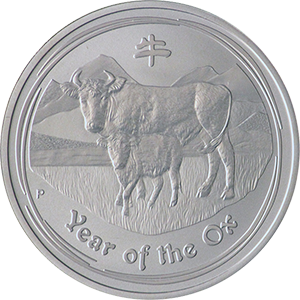 The 2009 Year Of The Ox coin is an Australian silver bullion coin that is both highly collectable and a great investment. The year of the ox is part of the Chinese lunar calendar and is produced by the Perth Mint, one of the world’s most renowned producers of bullion. Coins that are minted to commemorate specific years are often some of the most popular items for those who are using bullion as an investment for others. The year of the Australian Ox coin, for example, is commonly bought by family members for children born in that year, or perhaps as a wedding present to commemorate the happy union. The Perth Mint actually started minting coins relating to the Chinese lunar calendar in 1996 until 2007 (running through all twelve years of the calendar). 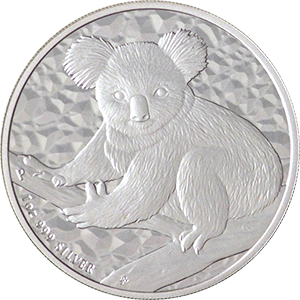 The designs proved so popular that they were commissioned for a second run immediately, with the 2009 year of the Australian Ox coin being struck in October of 2008. The coin itself is of the utmost purity, 99.9%, and contains 1 oz of fine silver. 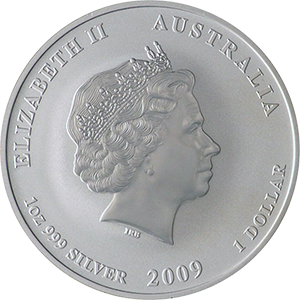 In fact, Australian silver coins are renowned for being some of the most reliable investments in the world, partly due to the reputation of the Perth Mint itself. The design for the second series year of the ox coin shows the figurehead of Queen Elizabeth II on one side and an ox with its young on the reverse. Above them is a Chinese symbol. The coin’s simple elegance is often cited as one of the reason’s for its popularity with collectors. The Year of the Ox coin is also available in gold, although this is a much more expensive undertaking. For this reason, new investors often prefer the more affordable silver version.